Chef Mark Jensen is excited to serve you the most spectacular seafood platter over the Easter Long Weekend; featuring oysters, scallops, crayfish, and squid. For the past 10 years, we have entrusted the supply of our seafood to JOTO, who pride themselves as Australia's leading supplier of Premium Seafood. 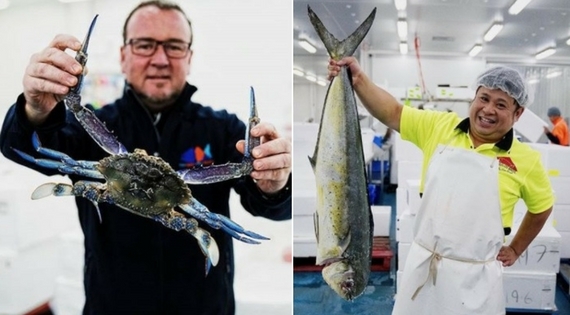 From hand selecting the freshest seafood in the early hours, to ensuring their products arrive in pristine condition, the team at JOTO delivers industry-leading quality. In line with our mission to leave as light an environmental footprint as possible, our friends at JOTO also allow us to trace every delicious morsel of seafood back to the sustainable fishery it was sourced from. Check out this hauntingly beautiful video that Chef Mark Jensen did in conjunction with Savour Australia, and one of the most respected authorities in the Australian seafood industry, John Susman. Join us over the Easter Long Weekend for our mouth watering Easter Seafood Platter. Please mention our Easter Seafood Platter special when making your booking. Available by pre-order only. Don't miss out! CLICK HERE TO BOOK NOW, or call 02 9698 4355. Please note a 10% surcharge applies on public holidays.